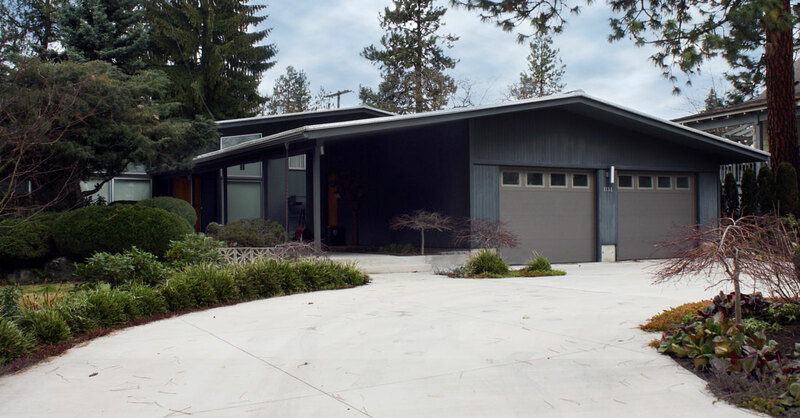 The 1960 Frank Toribara House is designed in what was often called, in the 1950s and 1960s, the “Contemporary” style of architecture. A Contemporary – or simply Modern – house offered few traditional stylistic features or details, relying instead on overall form and simple modern details to convey its style. 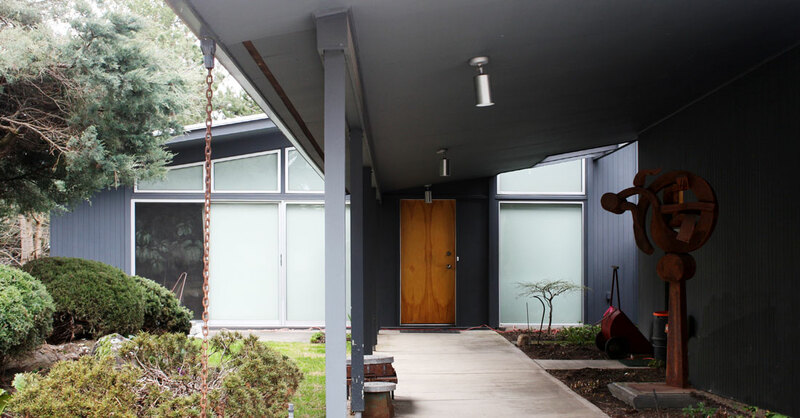 In contrast to the more common Ranch home of the era, Contemporary houses were often designed by architects and considered high style, with features that included slightly sloped or flat roofs, overall asymmetry, expansive window walls, and clerestory windows under the eaves. Features shared with Ranch-style homes include an open floor plan, an orientation toward the rear yard, and the use of windows, courtyards, and other devices to bring the outdoors in. The Frank Toribara House differs from what would otherwise be seen as a post-and-beam house in that the eaves are enclosed. It also differs from many Contemporary homes, as the materials are subdued, with subtle patterning provided by battens outlining windows on the relatively flat vertical siding. 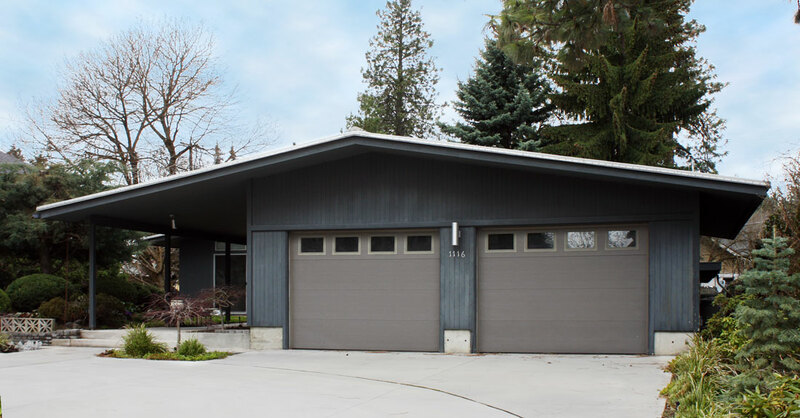 The building form is prominent, and the relationship between the garage and house is well-conceived. 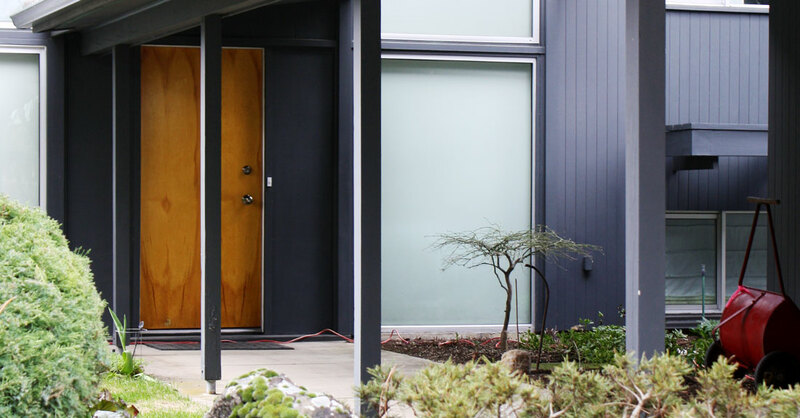 The entry is generously scaled, with the garden adding an Asian touch that was so popular at mid-century. Japanese-American Frank Yoshio Toribara was born May 15, 1915. After graduating from the University of Washington in 1938, he worked as a draftsman for several Seattle firms, though his career was interrupted by a forced stay at the Minidoka Japanese internment camp in Jerome, Idaho during World War II. 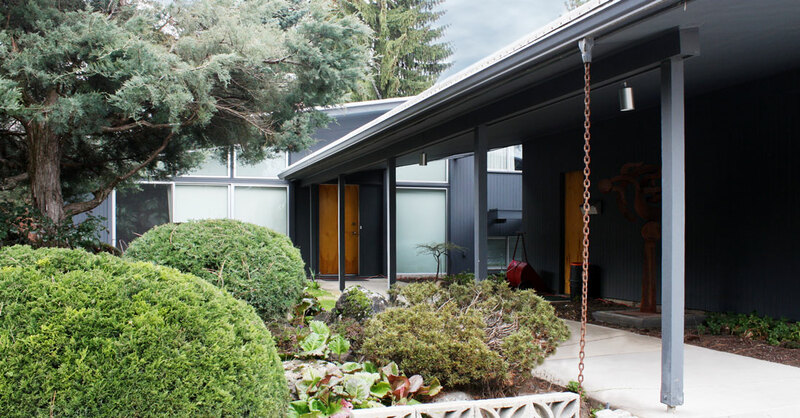 Toribara joined the AIA in 1950 and moved to Spokane shortly thereafter to establish his own practice. 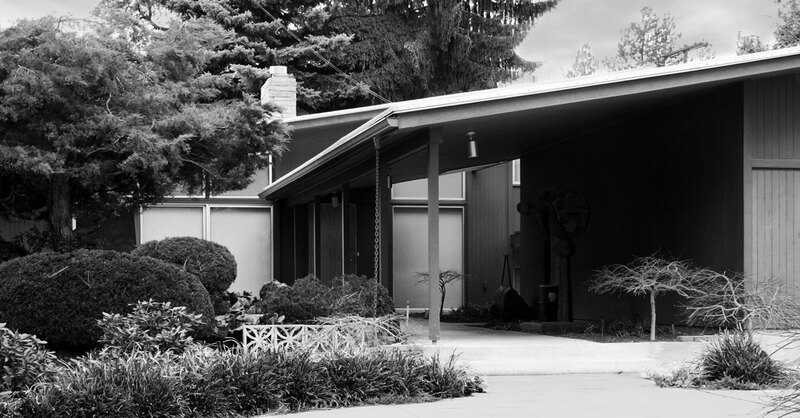 In addition to his own home, Toribara’s residential work includes houses on Overbluff Road, East Club Court, and a number of homes in a 1960s development on Brown’s Mountain. He also designed the Farmers and Merchants Bank on E. Sprague Avenue, the Highland Park United Methodist Church on S. Garfield Street, and the Tombari Dental building on N. Napa Street. Toribara retained his practice until his death in Spokane on June 5, 2007.